Everyone, whether TU/e student or staff member or not, may visit the TU/e Library and consult its collection. In the TU/e Library you will find an extensive and up-to-date collection of scientific information. 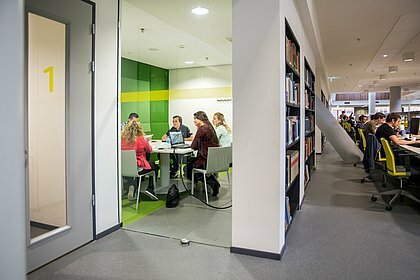 A completely renewed and centralized TU/e Library was inaugurated in the MetaForum building in September 2012: an inspiring place to study, meet fellow students and work together, offering a wealth of information resources. All study seats are equipped with wireless Internet. Library users may check books out of and back into the Library using a self-service lending system.